Hallow's End has begun in Heroes of the Storm and nothing is scarier than a maniac with explosives. Blizzard is continuing its Hallow's End celebration across all of its games and that includes Heroes of the Storm. Many of the Nexus' heroes and villains are going out trick or treating, but the scariest thing may be the game's newest hero: Overwatch's Junkrat. Shacknews previously detailed what kind of terror players can inflict with Junkrat. He'll come equipped with his array of explosives and mines, as well as his Total Mayhem trait that leaves explosives after his death. Other Hallow's End treats include new Hallow's End-themed skins. Players can pick up new Legendary Skins for Greymane, Epic Skins for Valeera, and various skins for other heroes like Fallen Junkrat, Creepie Chromie, and Pumpkin Cho'gall. These can be earned through Hallow's End Loot Chests, which become available via level progression. 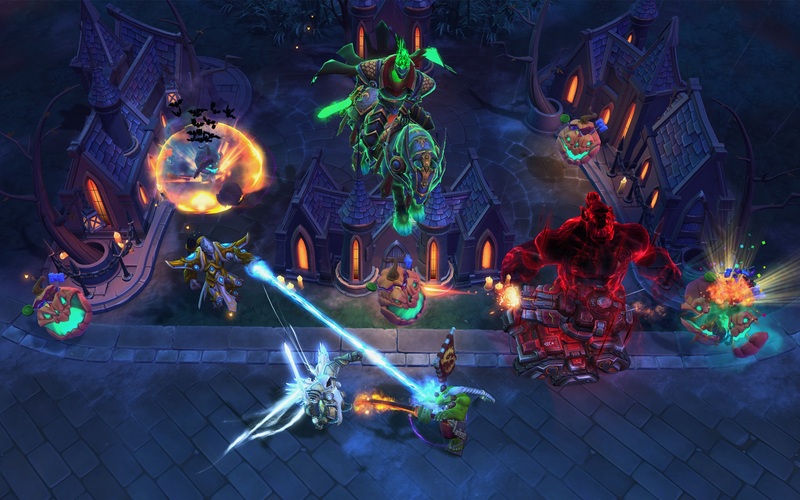 Full details on the Heroes of the Storm Hallow's End event can be found on the Heroes of the Storm website. Get into the spirit of the season by watching the whimsical video below.